Autumn in New York | We're feeling chic in the city. 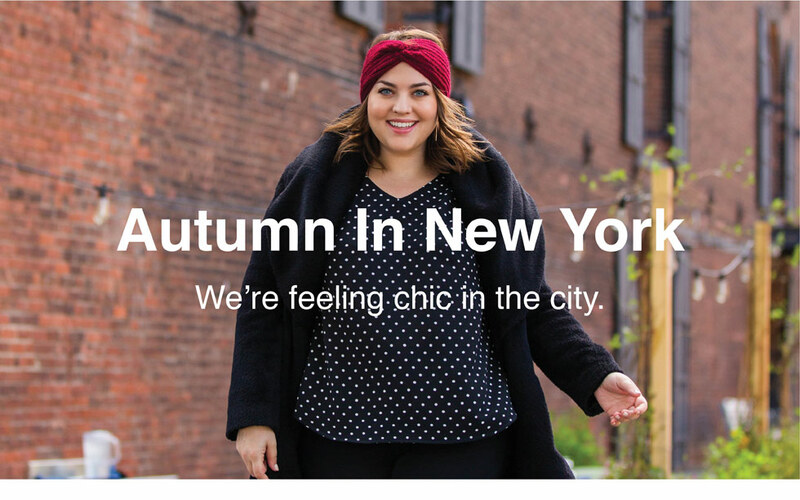 This fall, we’re inviting you to be chic in the city! Our new collection for fall and early winter was designed to make you feel stylish for every social event in your calendar. Whether you’re walking the city streets on your way to grab a cup of coffee with a friend or on your way to a cocktail party, you’ll find a style that makes you feel gorgeous. Our plus size Ellie Crepe Blouse is one of the most versatile tops you’ll own. This comfortable, yet stylish top is perfect for your office wardrobe but is also transitions well for happy hour or a weekend date night. Pair it with denim and toss on a jacket if it gets a little chilly. You’ll also love the versatility of our Harmony Faux Wrap Dress. This pin-striped dress is ideal for the office, but can be worn to a wedding or cocktail party, as well. As a bonus, it’s designed with roomy pockets! If you’re a fan of our Flirty Flounce Wrap Dress, you’ll love our newest print in plaid. A staple for any fall wardrobe, you can pair this plus size plaid dress with tights and boots for a chic, on-the-go outfit. Feel free to play up the slight red in the plaid with a bold lipstick or scarf. 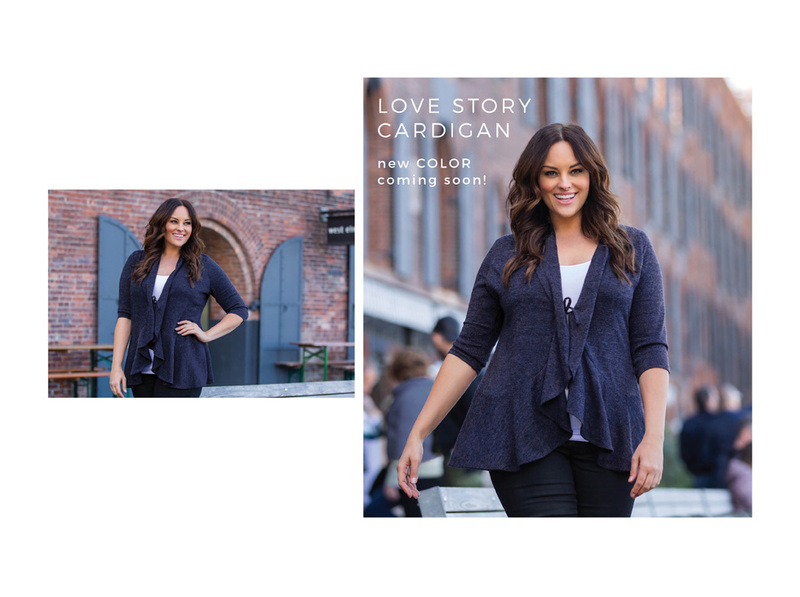 Another great style that’s back is our Love Story Cardigan. This comfortable, short-sleeved cardigan is now available in a sparkle fabric that will add a touch of glimmer wherever you go. The perfect layering piece for this time of the year, you’ll want to wear this to casual holiday parties and events. Pair it with a nice pair of jeans, ponte pants or even a pencil skirt with boots for an easy, casual outfit that’s super stylish. When you need to dress it up, count on our lace dresses to make you look and feel beautiful. Both our Lacey Cocktail Dress and Mon Cherie Lace Dress are perfect for cocktail parties and special occasions. Designed with stretch floral lace and pockets, you’ll get compliments wherever you go.